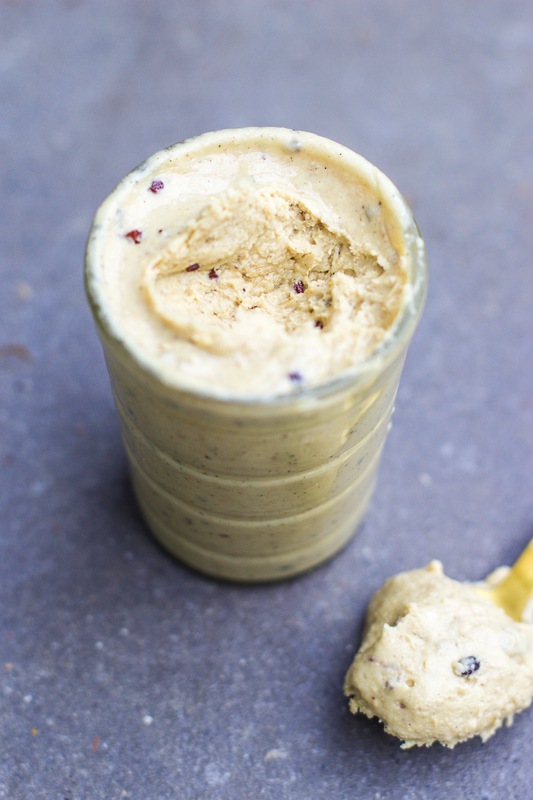 This cookie dough cashew butter is a great replacement for nutella. Roasted cashews have the best flavour and when you blend them with vanilla and a pinch of salt it tastes so like cookie dough. Really! I’ve gone for maple syrup as the sweetener but you can sub in honey if you prefer. If you like this, give my Cookie Dough Balls a try! Spread the cashews out on a baking tray and roast at 180’C for 8-10 minutes until golden. Add the roasted cashews to your food processor and blend until fine. Drizzle in the maple syrup and vanilla powder and sprinkle in a pinch of coarse salt. Blend on high until you have a smooth cashew butter. The mixture will eventually clump together into a ball and then liquify into a smooth, thick butter (it won’t be as runny as regular nut butter, you want a spreadable dough consistency). Depending on how powerful your food processor is, this can take up to 15 minutes. 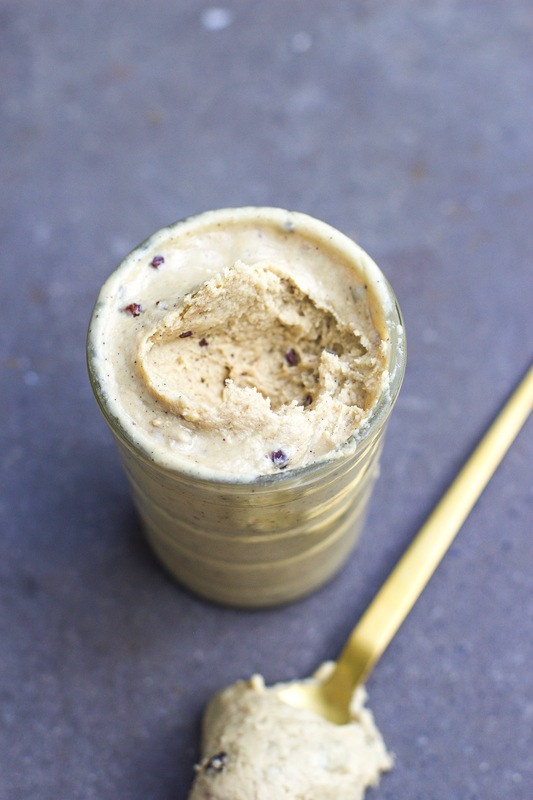 Let the cashew butter cool for a few minutes, then stir in the cacao nibs/chocolate chips. Store in an airtight jar in the fridge for 3-4 weeks. Would you offer any substitutes to vanilla powder? Almond essence or vanilla even? Enjoy Barcelona – brunch and cake is a must try! Oh my gosh, I’m so obsessed with cashew butter. I’m not sure how I lived without it for so long. Can’t wait to try this! Delicious! I have my first batch here and it’s gorgeous. However it took an age to clump together properly and even then it’s come out waxy and dry – any ideas why this is? I regularly make almond and hazelnut butter and they usually only take a few minutes in my high-powered Kenwood food processor, but the cashews took a good 10 minutes I’d say – any thoughts?! I usually find that adding sweetener makes the whole process longer no matter what type of nut, so I would just keep blending (even more!) to get it runnier. So worth it in the end!